Is your email address not working? How do I change my email address for this site? 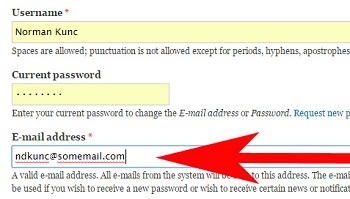 1) Verify that you have typed your email address correctly. 2) Double-check the confirmation email you received after subscribing to make sure you are using the email address to which that email was sent. 3) Use the Ask for Assistance form to ask us for help. 2) Verify with your agency administrator that you are using the email address that was provided to Conversations That Matter when the agency subscribed. For example, they may have subscribed you with a work email address and you are trying to log in with a personal email address. 3) Verify with your agency administrator that you were signed up as part of the agency's subscription. 1. Click on the YOUR ACCOUNT tab on the right side of the program. 2. Click on the EDIT YOUR ACCOUNT button on the left side of the program. 3. Enter the new email address in the EMAIL ADDRESS box.